Hoot is a 2006 American family comedy film, based on Carl Hiaasen’s novel of the same name. It was written and directed by Wil Shriner, and produced by New Line Cinema and Walden Media. The film stars Luke Wilson, Logan Lerman, Brie Larson, Tim Blake Nelson, Neil Flynn and Robert Wagner. The film was released on May 5, 2006. 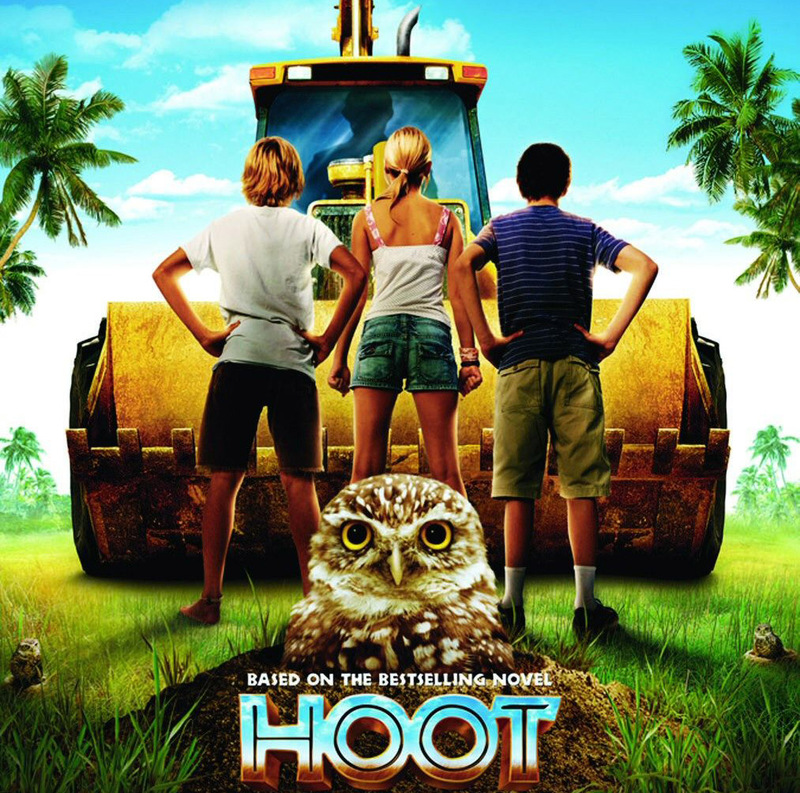 The film is about a group of children trying to save a burrowing owl habitat from destruction. The habitat is located on the intended construction site of a pancake house. The developer of the project intends to proceed regardless of the environmental damage it would cause. Hoot features live burrowing owls and music by Jimmy Buffett. Buffett is also listed as a co-producer, and he played the role of Mr. Ryan, the science teacher.